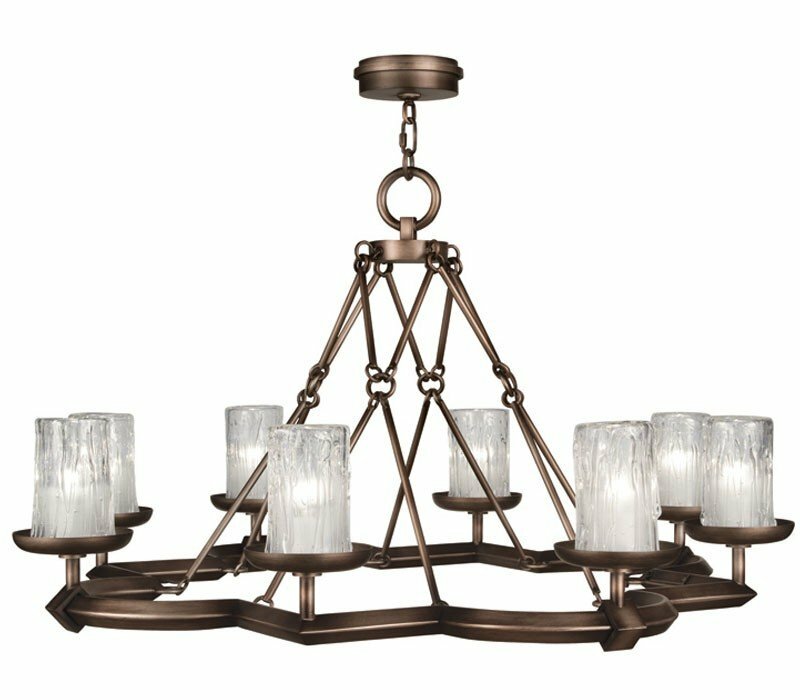 Chandelier executed in hand-crafted metal with extensive component details and articulation, finished in a choice of antique hand-rubbed bronze or platinized silver leaf #860340-2. 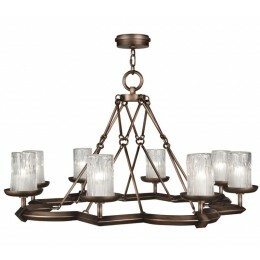 The Fine Art Lamps 860340 Liaison collection Chandelier Lighting in Hand Rubbed Bronze uses Incandescent light output and brings Antique style. This item is 22"H x 40"W. The total wattage is 480 and the voltage is 120 volts. 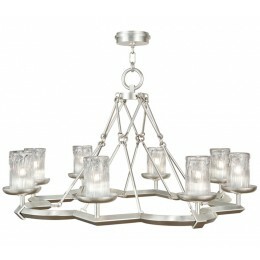 The Fine Art Lamps 860340 requires 8 bulbs (not included). Additional Information: Shade-Ribbed Crystal Shade.